Smart Blood Pressure (or SmartBP) is a smarter way to manage your blood pressure measurements and track your progress. 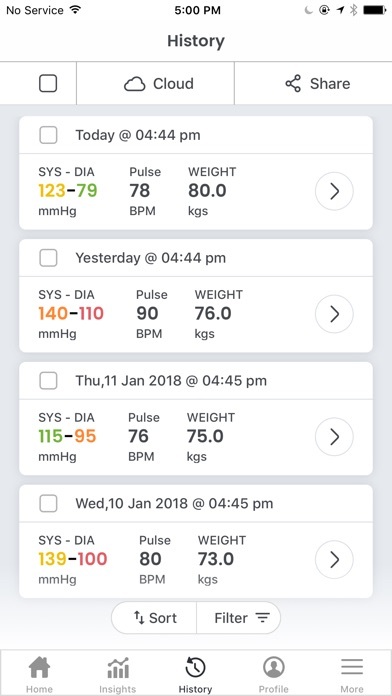 SmartBP is a blood pressure management app that allows you to record, track, analyze and share your Blood Pressure information using your iPhone/iPod touch/iPad devices (check compatibility requirements). 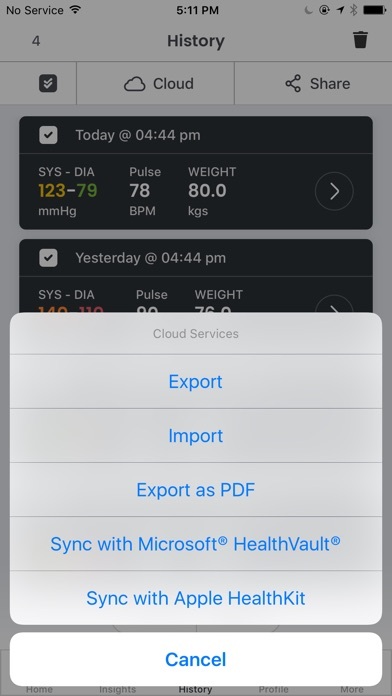 In addition, SmartBP connects with Apple HealthKit and Microsoft HealthVault. With your health information at your fingertips, you can now take a more active role in your own health. Whether prehypertensive or hypertensive, SmartBP can help you track your progress and manage all your blood pressure measurements with an overall goal of improving your blood pressure. 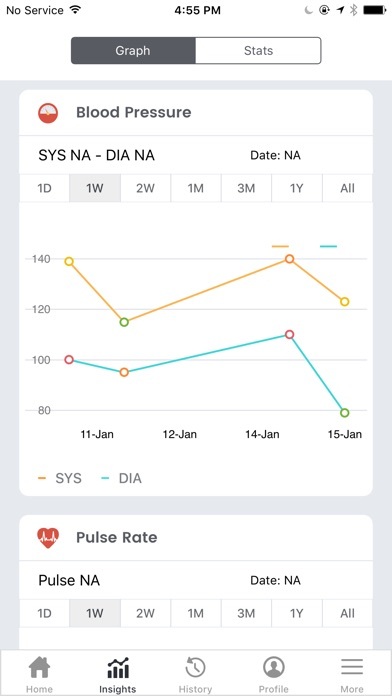 For information on how to use the app, visit our website * Video: www.evolvemedsys.com * FAQ: www.evovlemedsys.com/faq Features- - Record systolic, diastolic blood pressure, pulse rate and weight. Body mass index (BMI), pulse pressure (PP) and mean arterial pressure (MAP) is automatically calculated. Now you can enable/disable weight monitoring. - Quickly add notes (e.g. before dinner) and measurement information (e.g. sitting, left arm) using tags. - Store and access all your blood pressure measurements anywhere and anytime using Apple HealthKit and Microsoft HealthVault. HealthVault offers you a way to store health information from many sources in one location, so that it's always organized and available to you online. Avoid manual data entry and reduce errors by automatically uploading blood pressure measurements to HealthVault/HealthKit by auto-syncing with SmartBP. 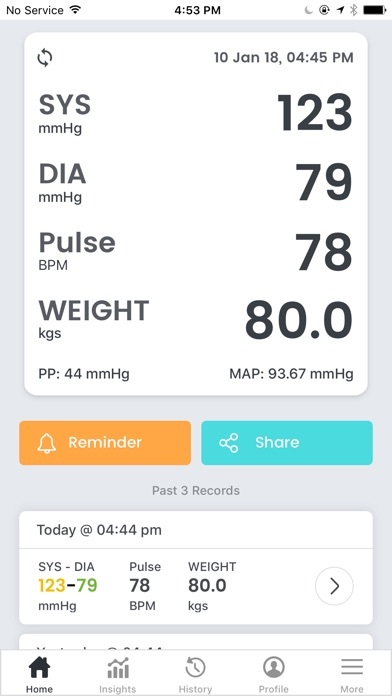 The following Blood Pressure Monitors can connect to HealthVault/HealthKit: * A&D: UA-767PC * Omron: HEM-790IT, 7300IT, HEM-670ITN, BP791IT, BP786, M10IT * Withings Blood Pressure Monitor * Homedics: BPA-260-CBL * iHealth: BP5, BP7 * QaridoArm - Share your blood pressure information with your doctor, healthcare provider or family using email, text message (SMS), Apple HealthKit and Microsoft HealthVault. Create blood pressure reports in PDF format with blood pressure data, charts and stats and share with your doctor or healthcare provider. - Analyze the progress you are making using intuitive graphs and statistics (including mean and variability for a period). Filter the data analyzed based on tags which can prove useful in analyzing how well you are doing and if any lifestyle modifications or medications have proven effective. - Backup all your blood pressure data by exporting your file to iTunes, Dropbox and Drive. If your blood pressure data is saved in a CSV file, you can import all your data to the application. - Protect your data with TouchID protection - Set reminders for managing your blood pressure - Intuitive color coded data to identify normal, prehypertensive, stage I and II hypertension. These limits can be modified. - US and international height and weight units supported. Disclaimer: 1) Smart Blood Pressure (SmartBP) may only be used as a tool to record, share and keep track of blood pressure measurements. Smart Blood Pressure cannot measure blood pressure. 2) Smart Blood Pressure (SmartBP) is NOT a substitute for a doctor or professional healthcare or advice. Any health related information provided is for informational purposes only and should not be used to replace the advice of healthcare professionals. 3) Smart Blood Pressure (SmartBP) is meant to track your blood pressure records where each record is the systolic, diastolic, pulse, weight, date/time and notes/tags. Although weight can be modified for each record, it is not meant to track weight independently. What a joke. You can only have one entry. What a waste of time and info. This app can't do the one thing it's supposed to do, take your blood pressure. It's also filled to crap full of ads. Garbage. I use the smart BP; I would like to see it expanded to include blood glucose for we diabetic people. If the blood glucose was included you would’ve gotten a five star rating. I like this app but I can’t email it to myself from history! Very good app for tracking BP! I’m a physician and epidemiologist who just developed hypertension. As a “data person” and physician, I find this app very helpful to follow my BP and to share daily recordings with my own physician. 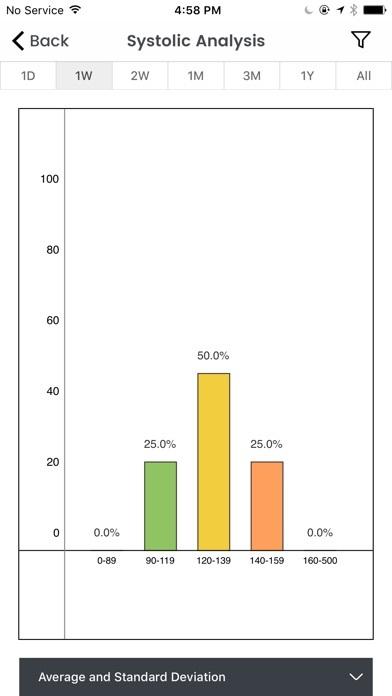 Entering BPs is easy and the graphs are really well designed and easy to use. Great job! This is an outstanding blood pressure app. I’m glad it’s very easy to use because I input my blood pressure several times a day. I like how it gives me an average of my blood pressure and that it gives me statistics and a graph of all my entries. Great app! It may be good, but I’ll never know. Unable to see what value synching with an iPhone without upgrading to professional version. Every time I try to put a previous date and time, the time keeps automatically scrolling back to the current time, making it impossible to input previous data. So therefore, I can’t use this app.